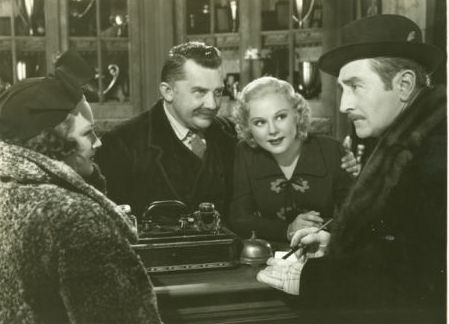 Tad Spencer (Menjou) is broke and takes his female band (including his wife) to the Swiss Alps. They come to an inn run by Henriech Muller (Hersholt) and his daughter Greta (Henie). Greta is a figure skater training for the Winter Olympics. Henriech lost out on a figure skating medal in 1908 and has been training his daughter as a skater. Tad sees dollar signs when he see her skate and wants him in her act. The only problem is Greta is being paid for a nightclub act would hurt her amateur standing in the games. Bob Harris (Ameche) and his photographer Danny Simpson (Sparks), also arrives at the hotel to investigate a fire that may have been an assassination attempt. -First film of Olympic figure skater medalist Sonja Henie. -The film features footage from the 1936 Winter Olympics. Henie won her won her third consecutive gold medal in woman’s figure skating at the 1936 games in Bavaria, Germany. -After winning three gold medals a the Olympics in 1928, 1932 and 1936, Henie was signed to 20th Century Fox for this film and “Thin Ice.” In his memos, studio head Darryl F. Zanuck wrote to give the Norwegian skater “as little and as simple dialogue” and “give her only questions and answers; questions which are questions, answers which are direct statement.” He picked this script for Henie, because it had very few acting scenes, according to Memo from Darryl F. Zanuck: The Golden Years at Twentieth Century Fox. -This film was a box office success and made Henie a star at Fox. 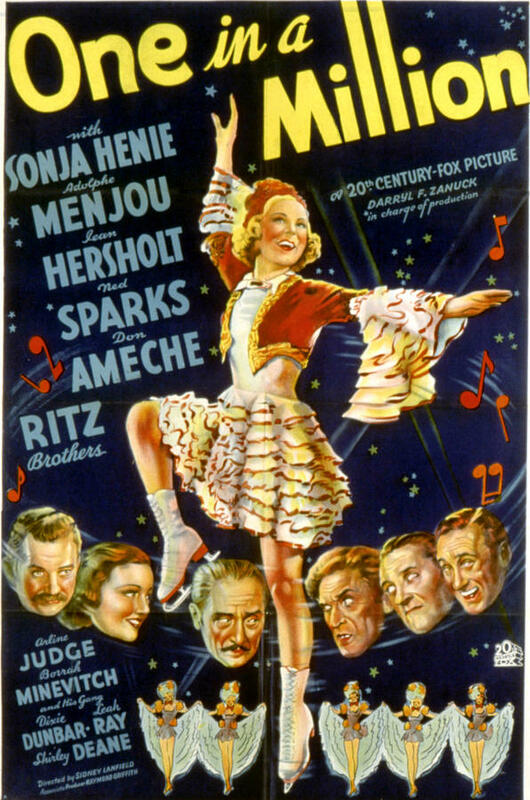 Film critic Frank Nugent called Henie’s films the “Sonie Henie riddle” of how to plan a plot around figure skating scenes, according to Twentieth Century-Fox: The Zanuck-Skouras Years, 1935-1965 by Peter Lev. -Sonja Henie skating 20 minutes into the film to show off her talent. She starts off simply practicing on the ice and then Menjou has a dream sequence of how he could make money off of her talent. -Sonja’s skating performance for the Olympics in the film. This movie is notable because of it started the film career of figure skater Sonja Henie. It was also the start of another “film novelty.” Henie’s films were successful- similar to swimmer Esther Williams later on- because they offered something different that most movie goers had not seen before. The plot is thin, but fun with a good supporting cast of Don Ameche, Adolph Menjou, Jean Hersholt and the always sour-faced (yet delightful) Ned Sparks. My main complaint with this movie is the Ritz Brothers. I have seen them in several films, and still do not understand their appeal. They had three or four gigantic chunks in the film where they performed worn out vaudeville routines. I can’t deny that I fast-forwarded through the majority of their scenes. Ritz Brothers aside, Henie’s skating routines are lovely and it’s interesting to see how figure skating has evolved since the 1930s. 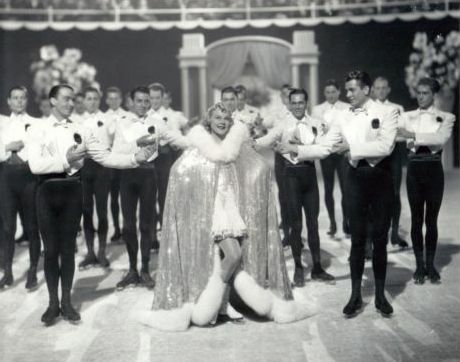 The film ends with a lavish ice skating performance with Sonja Henie and several skating men. This entry was posted in Musical Monday, Olympics and tagged Don Ameche, figure skating, figure skating in film, musical, Musical Monday, Sonja Henie, Sonja Henie figure skating, Winter Olympics, Winter Olympics in film, Winter Olympics Sonja Henie by Jnpickens. Bookmark the permalink. I love Sonja Henie! Thanks for this review!